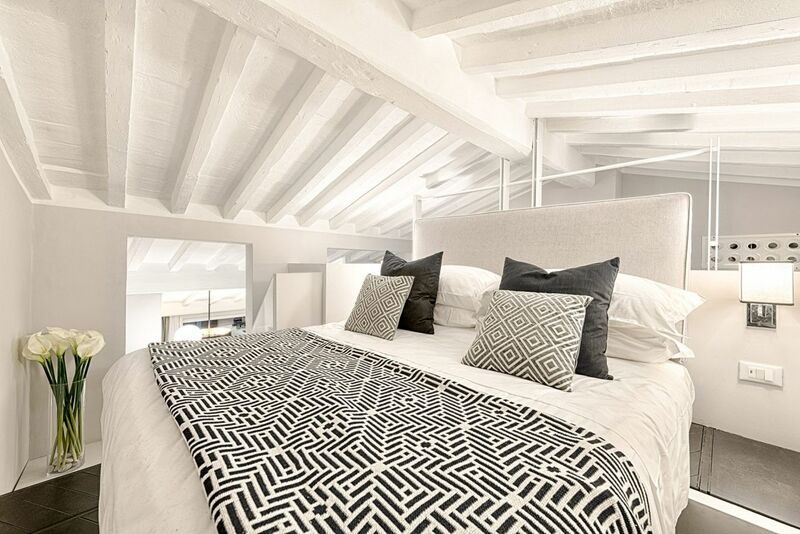 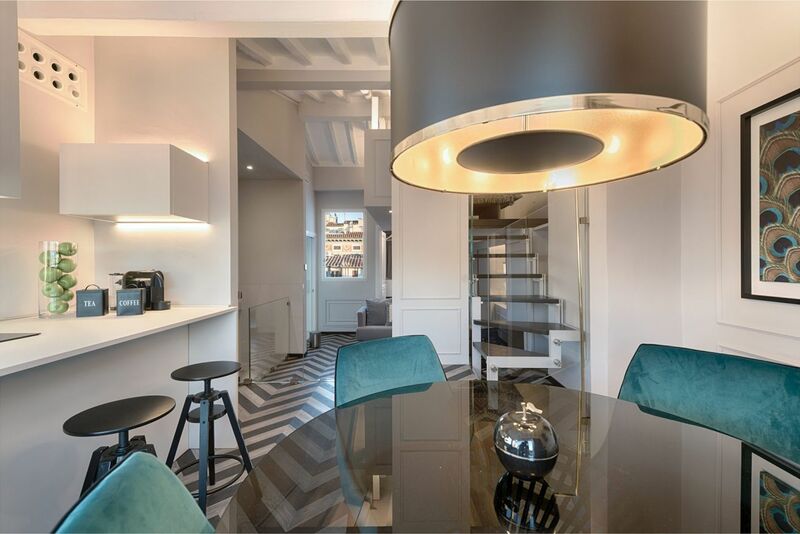 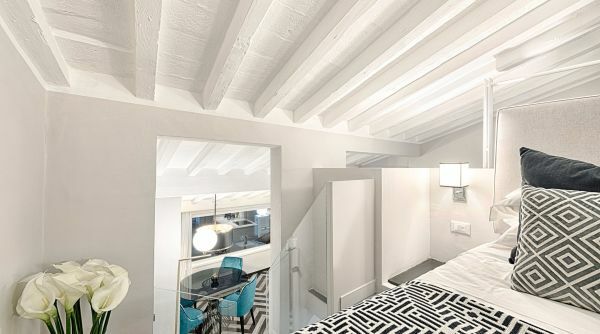 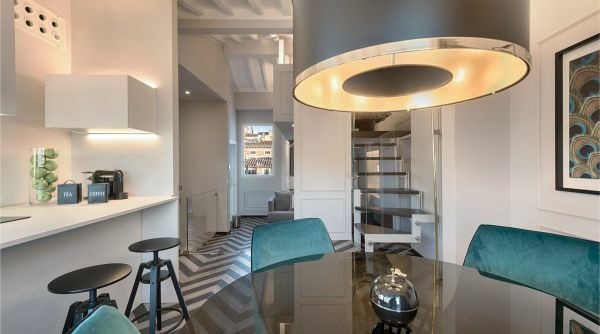 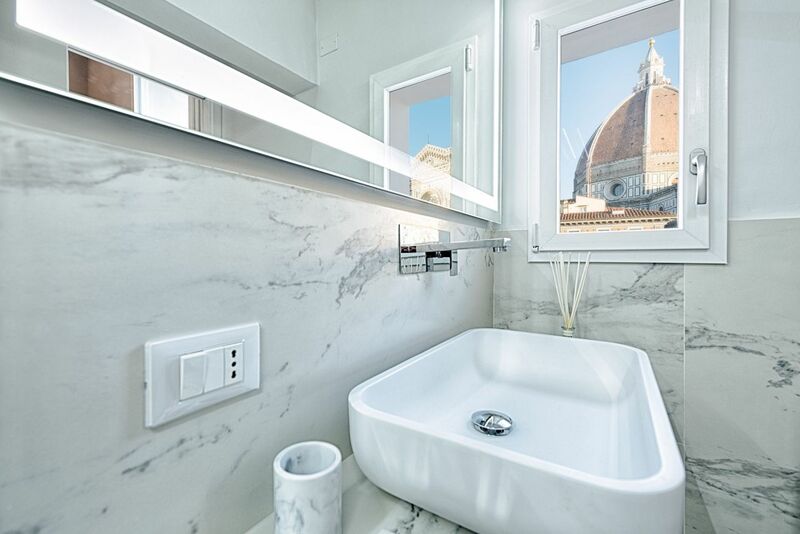 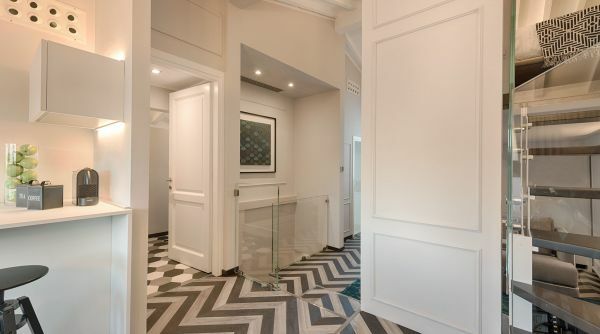 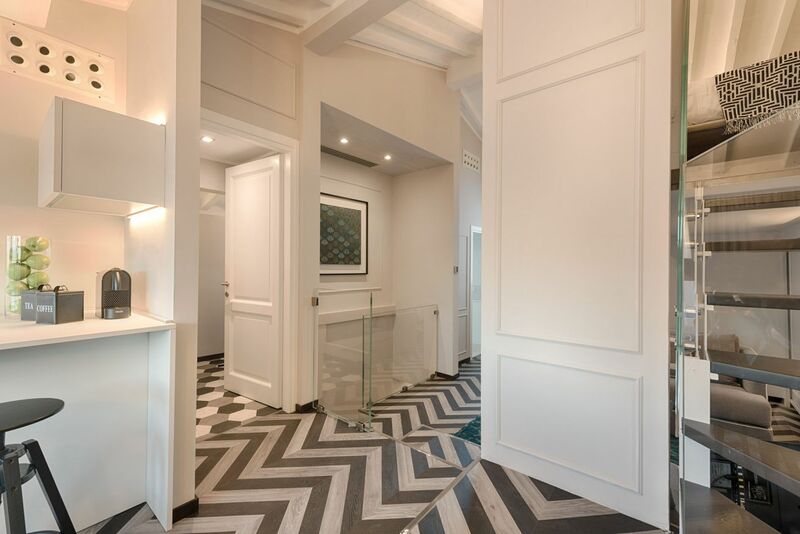 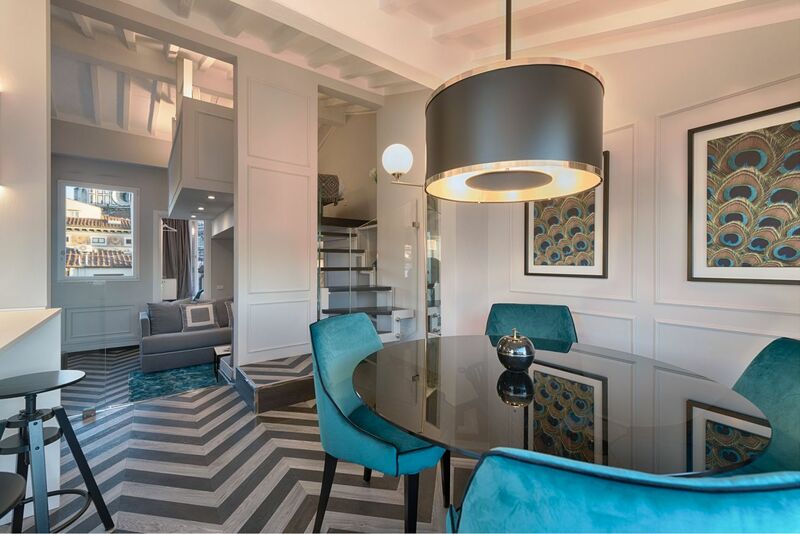 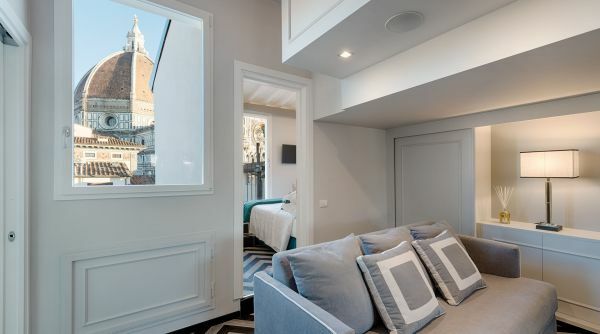 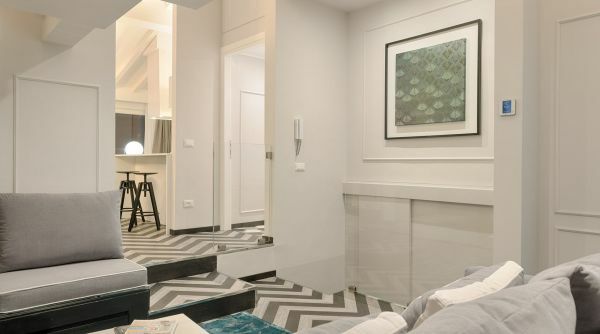 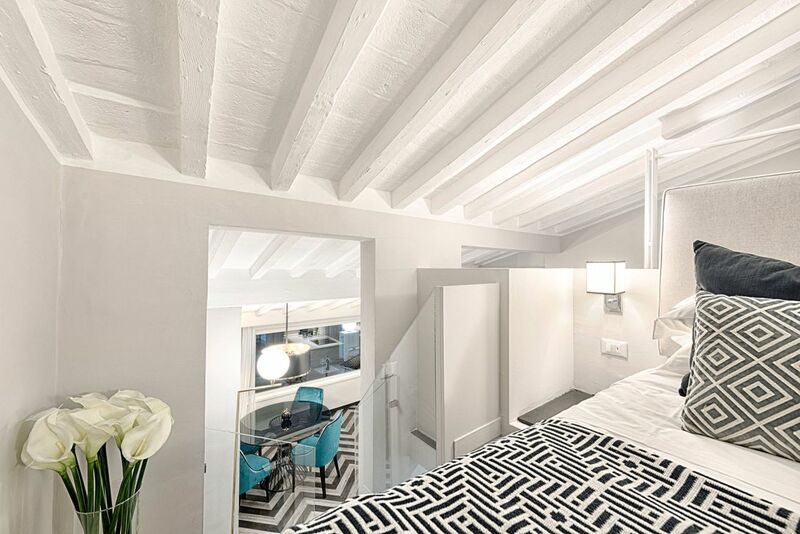 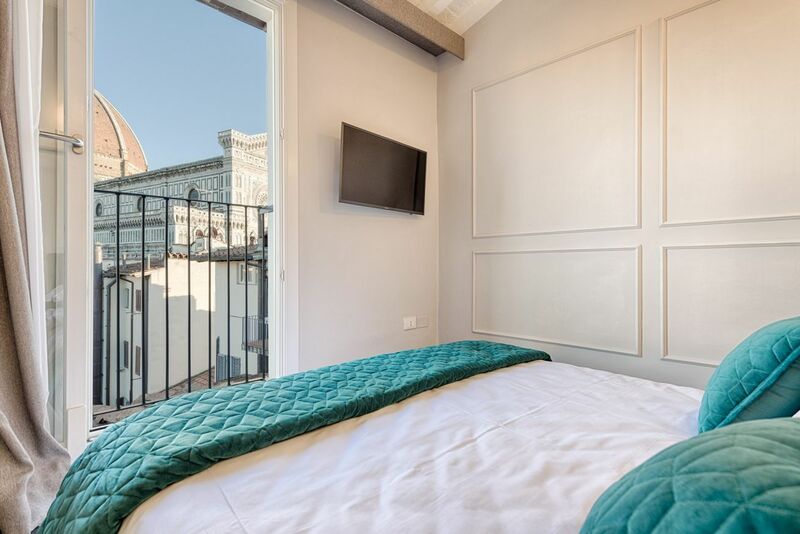 A completely renovated apartment down to the last detail, equipped with every possible comfort to make very speciale your visit to Florence. 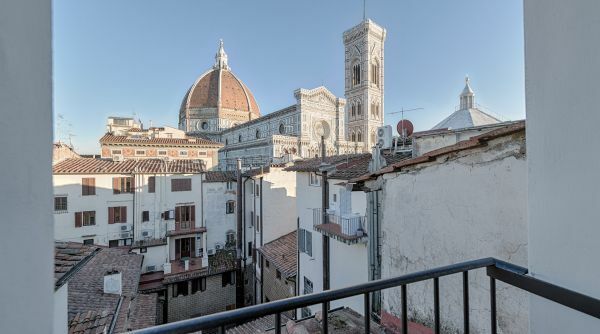 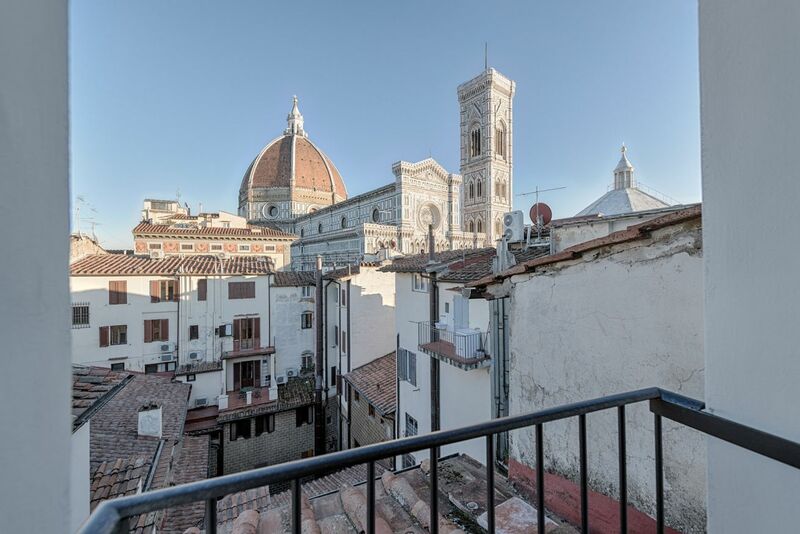 The apartment is on the top floor, with elevator, of a historical building in the heart of the city, very close to the Duomo of Florence. 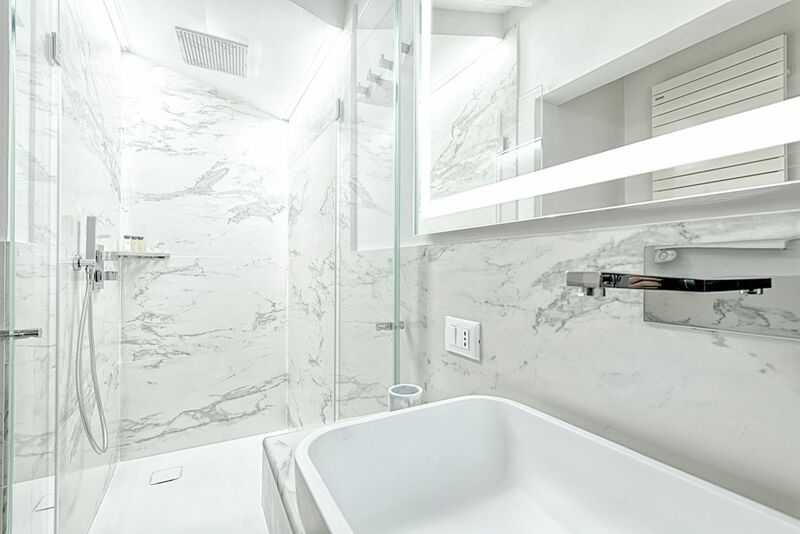 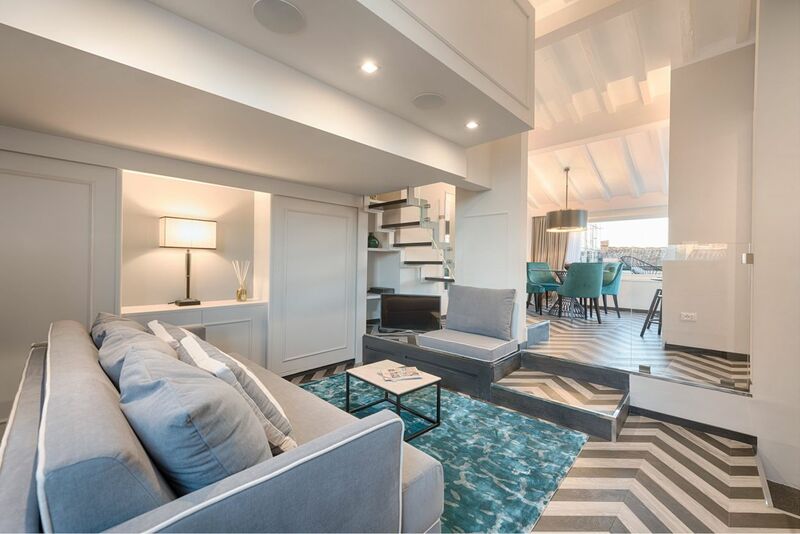 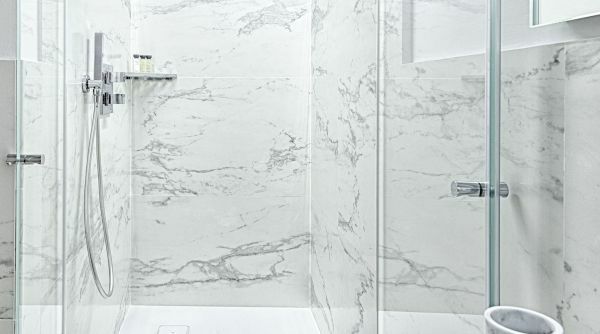 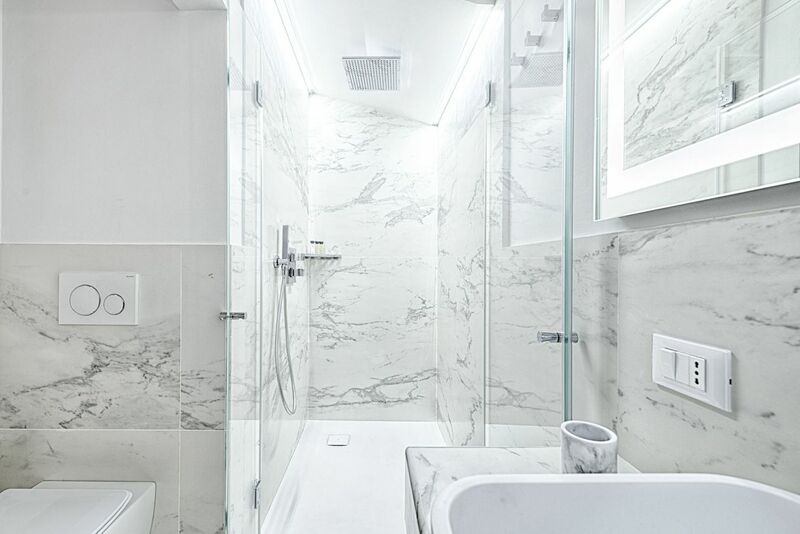 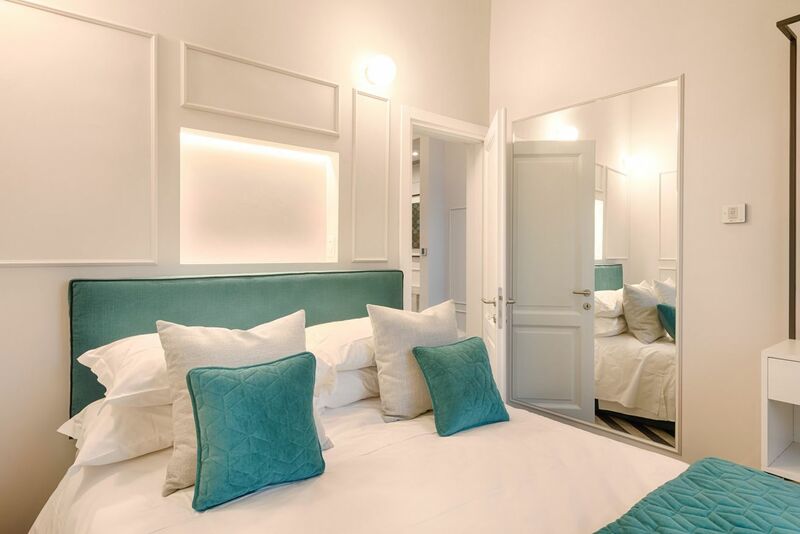 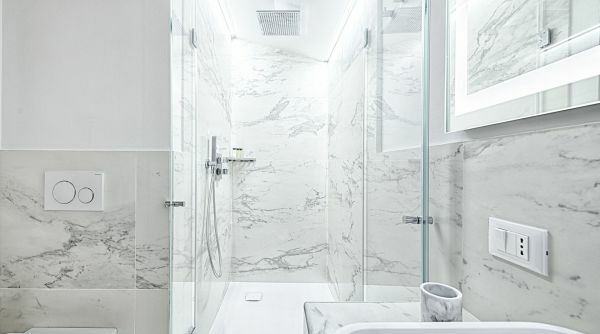 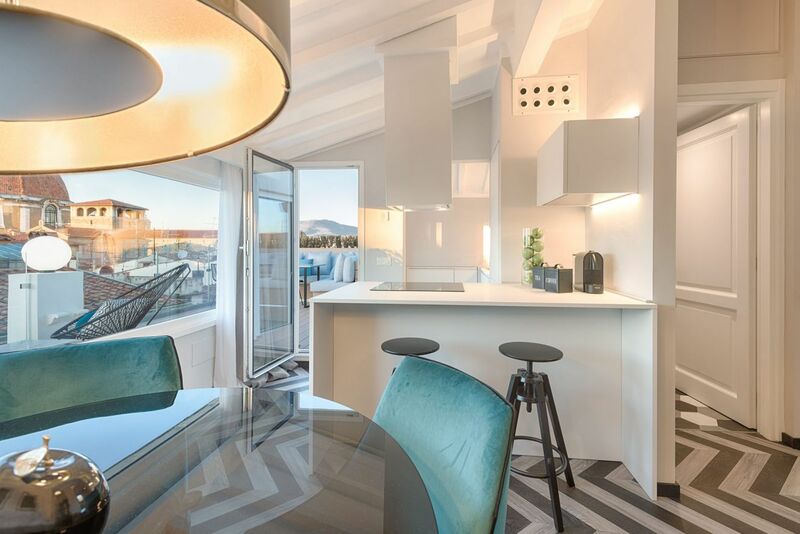 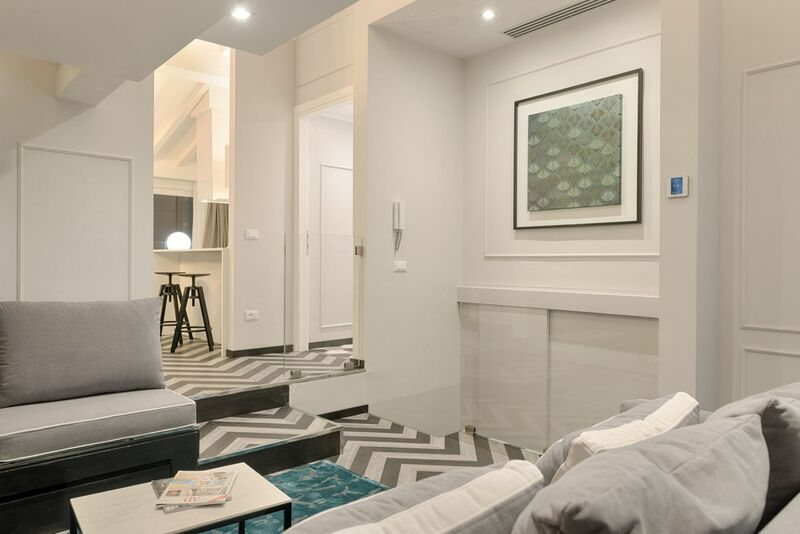 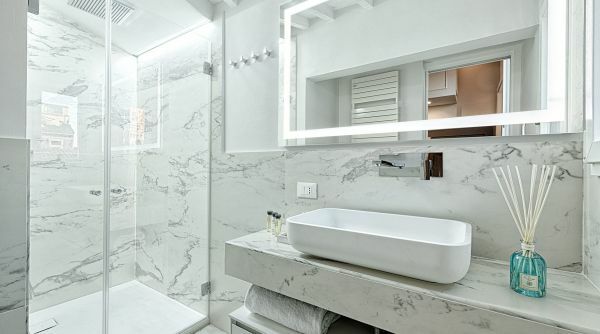 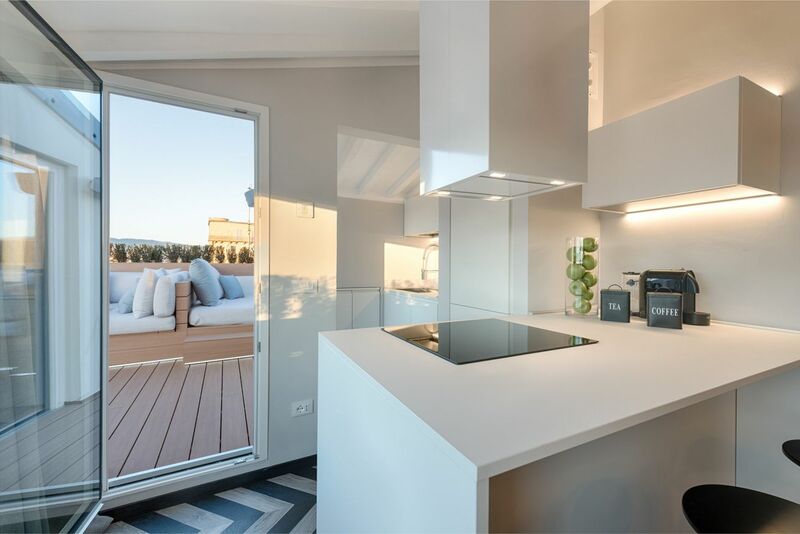 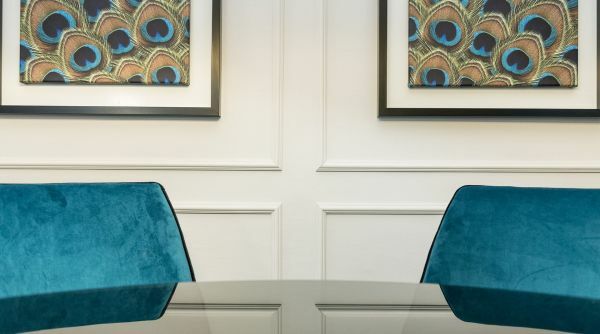 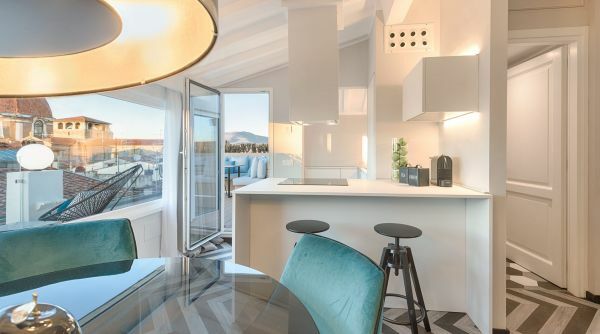 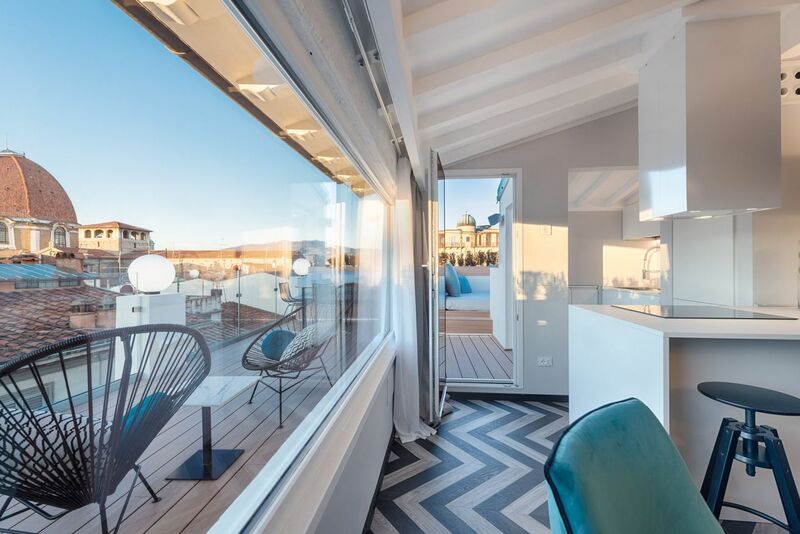 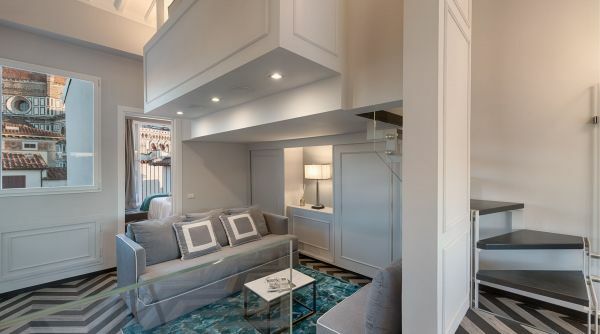 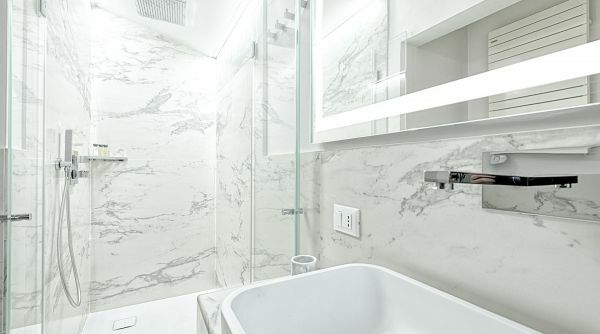 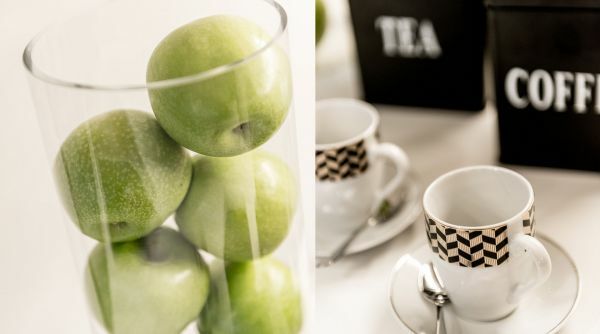 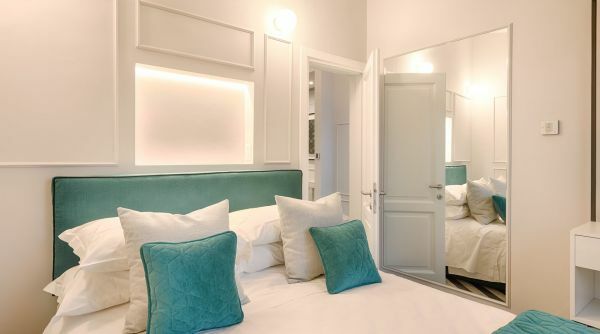 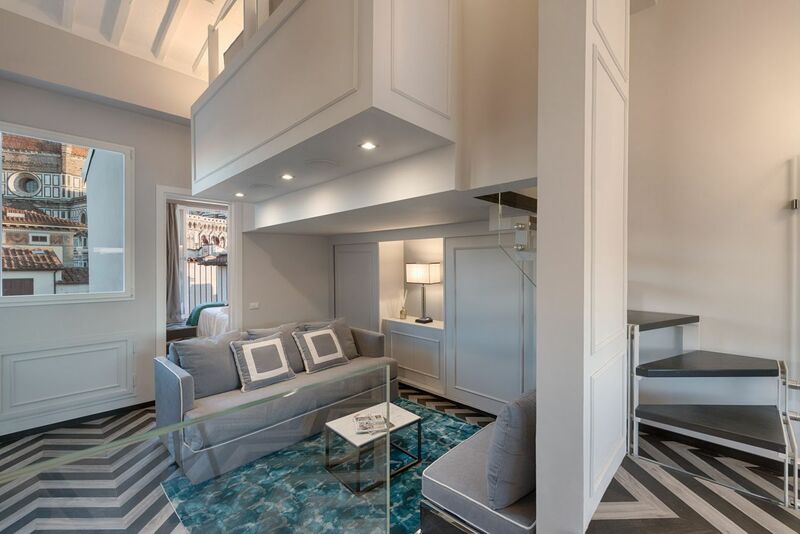 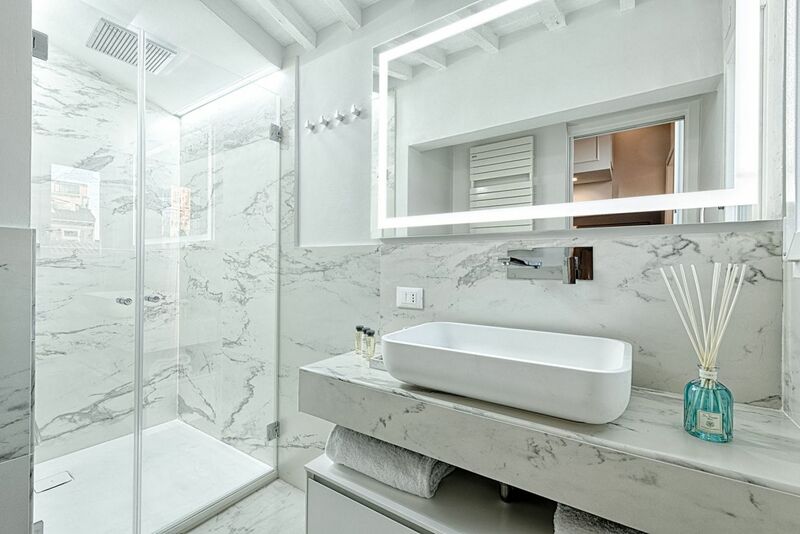 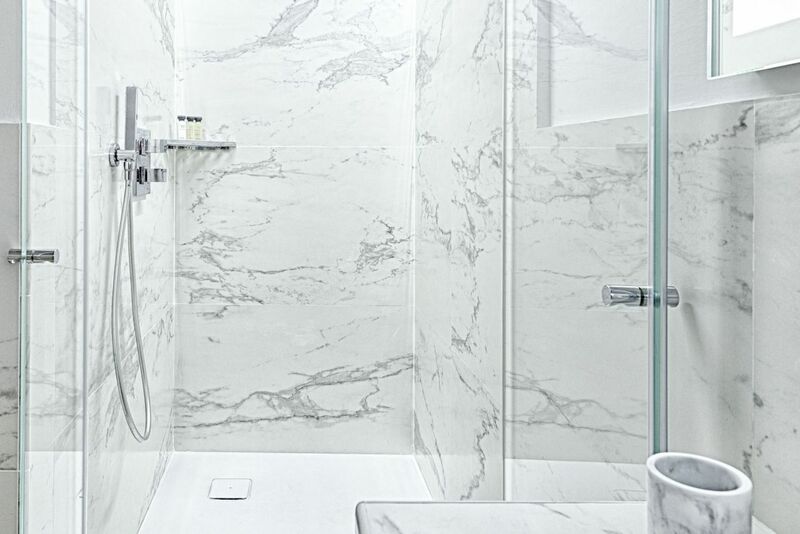 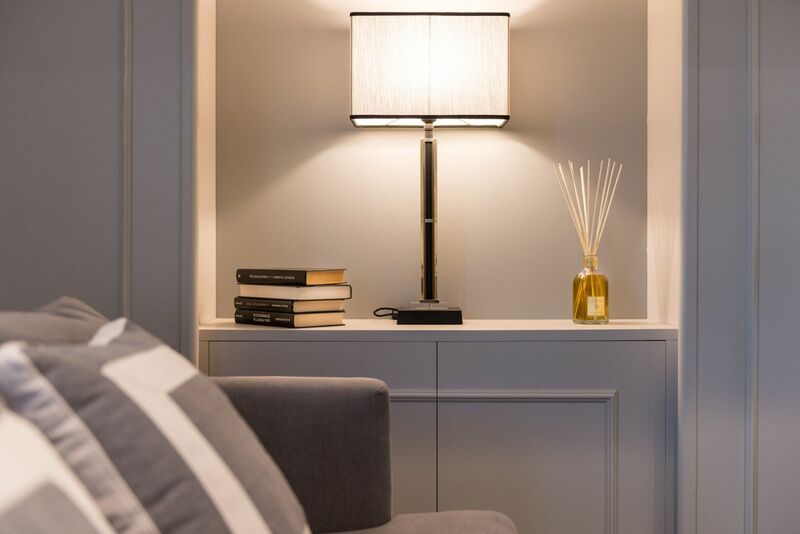 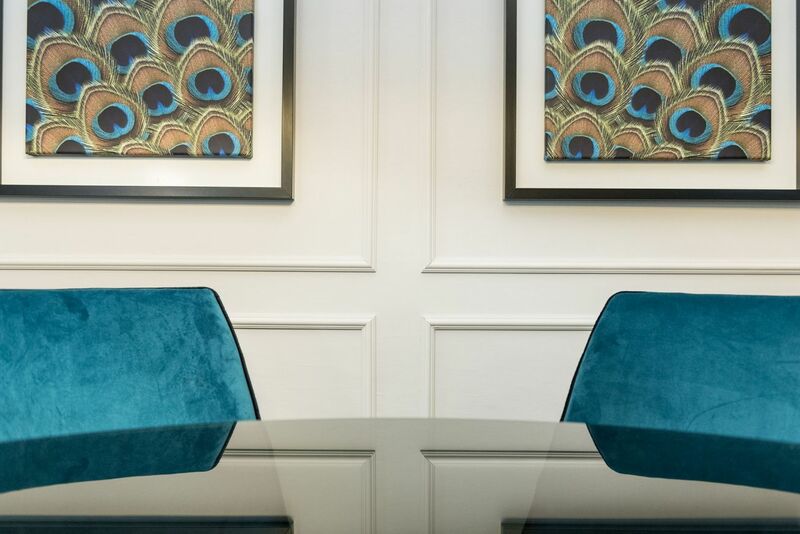 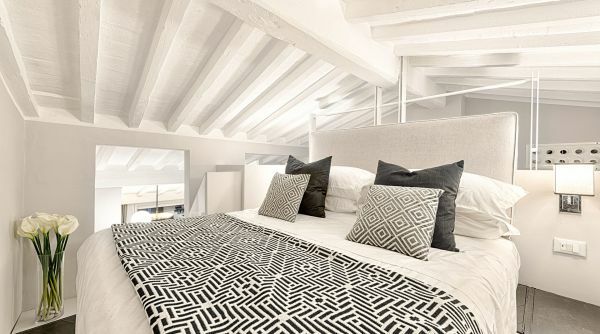 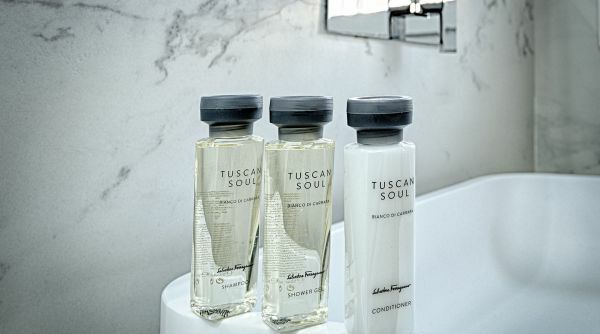 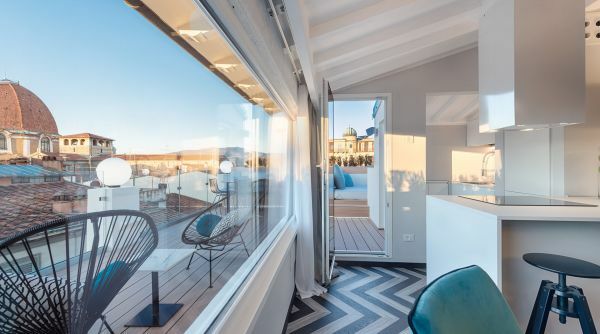 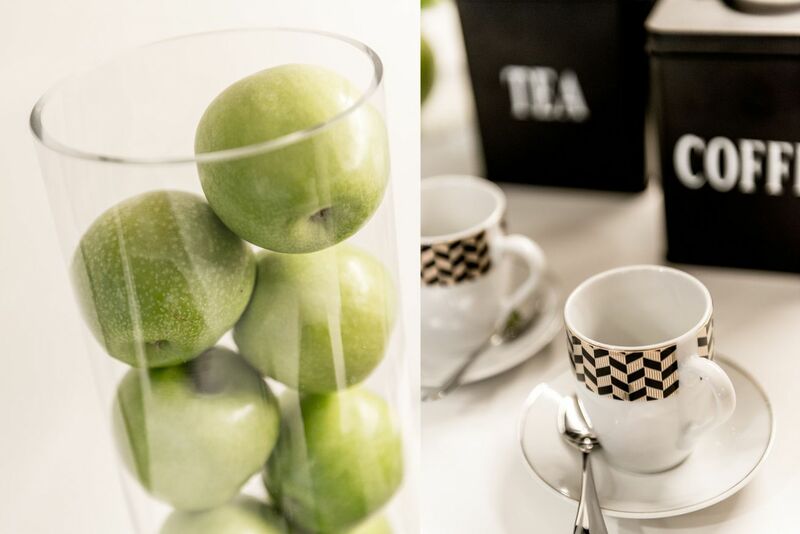 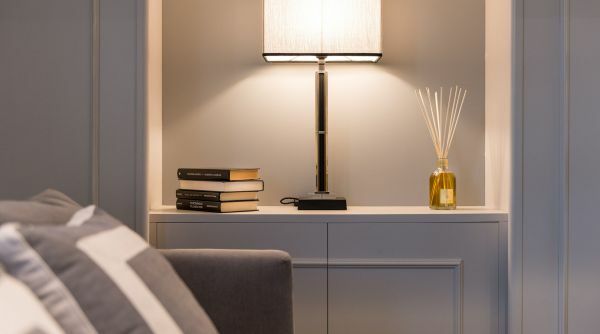 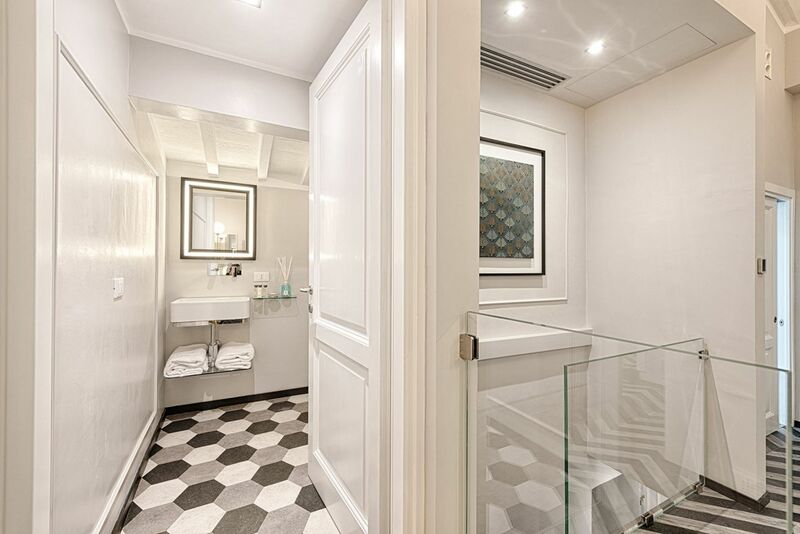 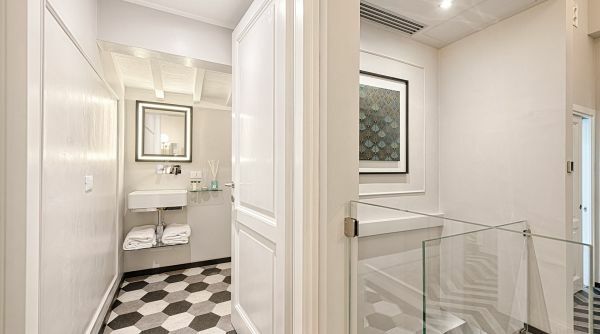 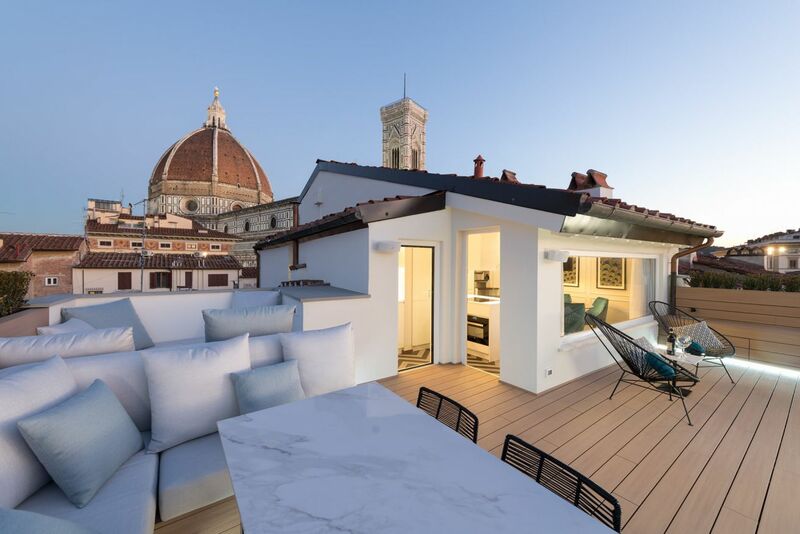 The interiors are characterised by a modern and luxurious design; nothing is left to chance, Duomo Luxury Terrace has nothing to envy to the suites of the most prestigious hotels. 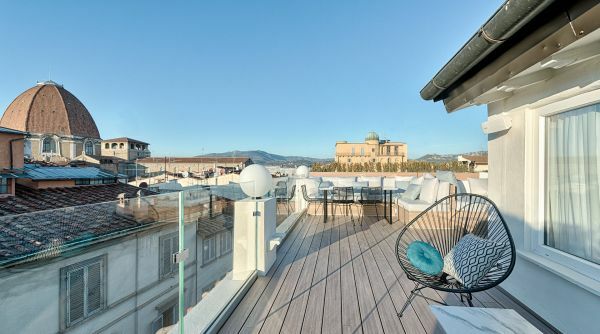 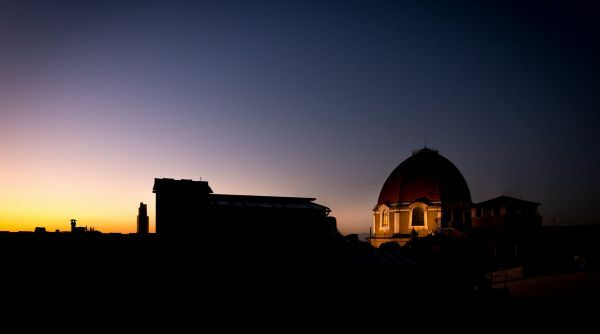 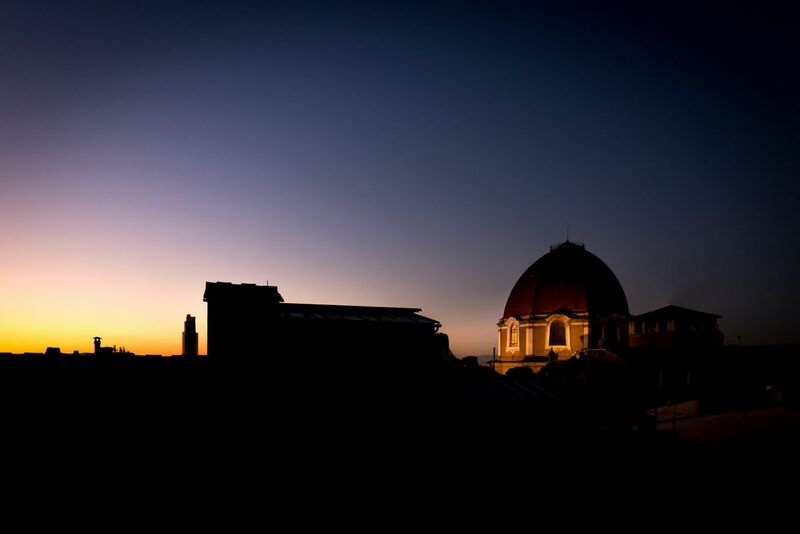 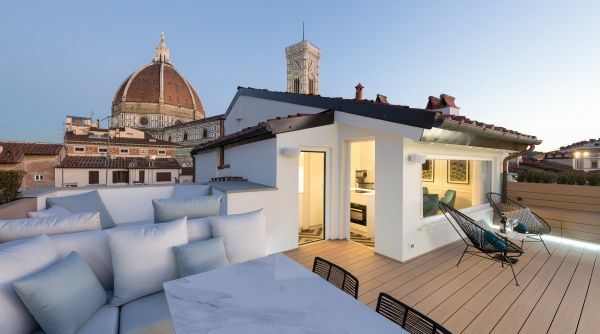 The terrace offers a stunning view at 360 degrees: on one side you can see the dome of the Basilica of San Lorenzo and the other his majesty the Duomo, with the incredible Brunelleschi's dome. 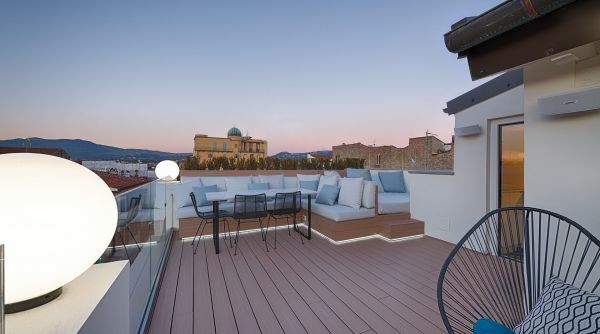 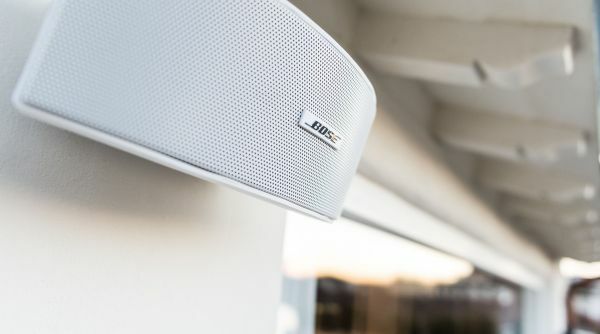 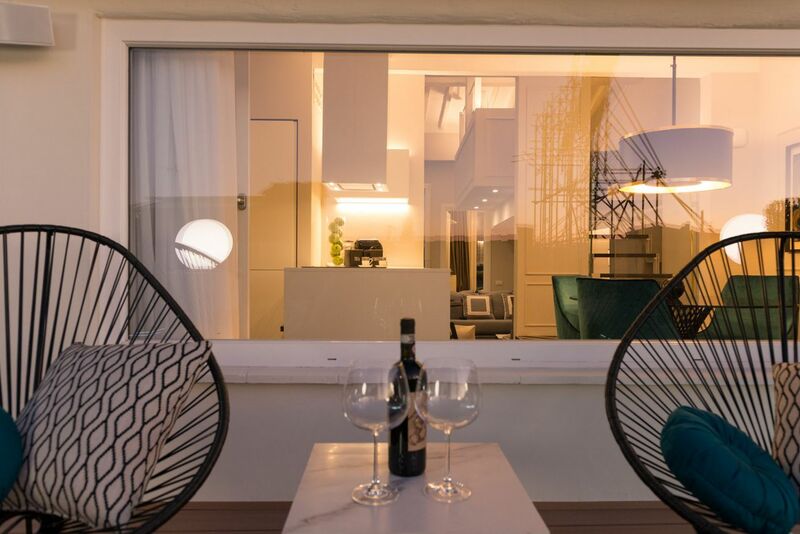 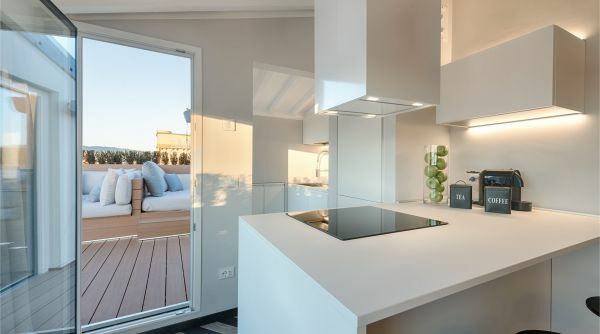 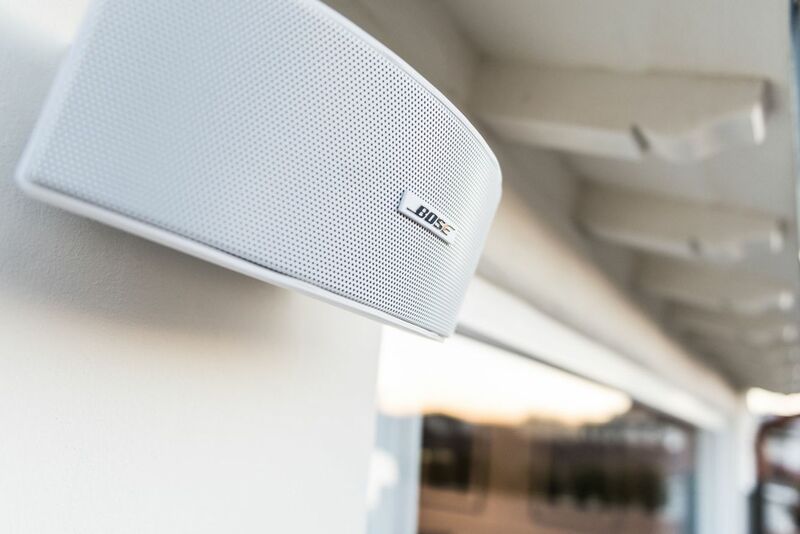 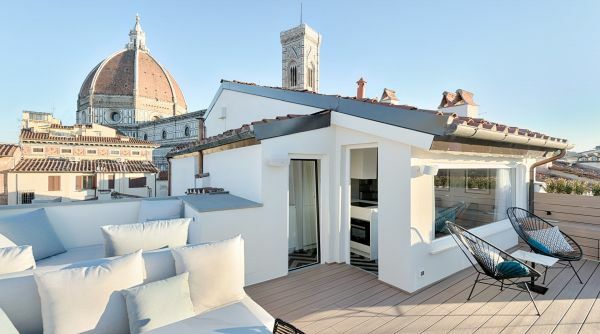 Duomo Luxury Terrace, capable to host up to 4 guests is equipped with air conditiong and internet with Wi-Fi. 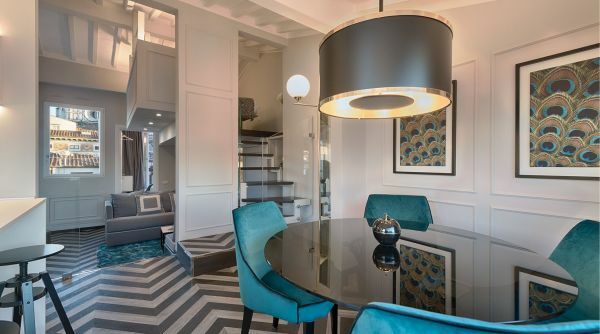 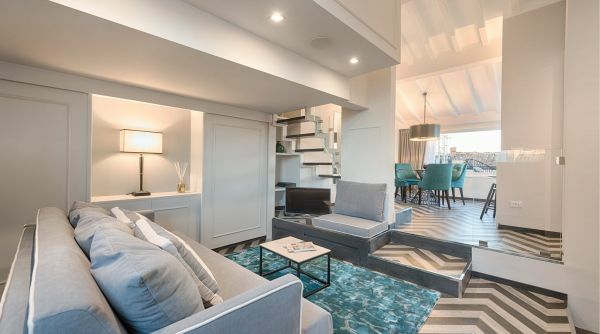 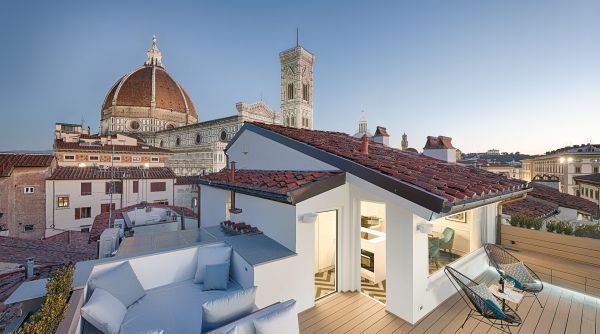 The ideal solution if you want to live a unique experience in Florence. 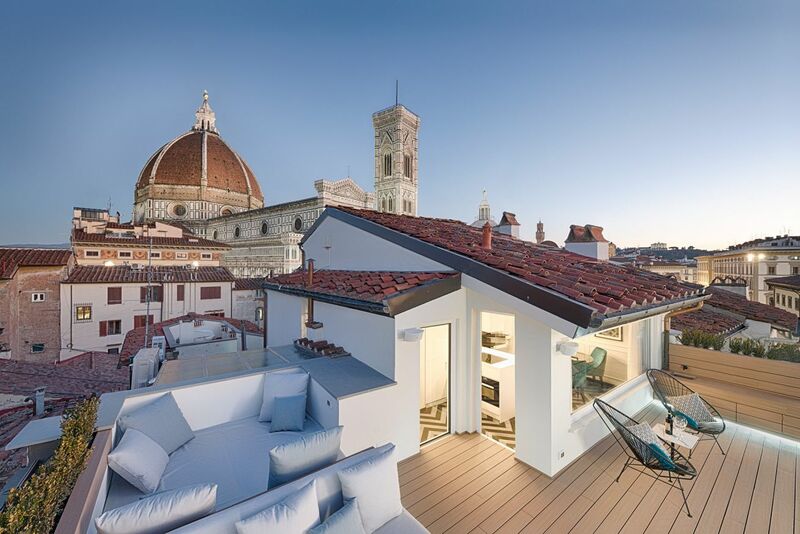 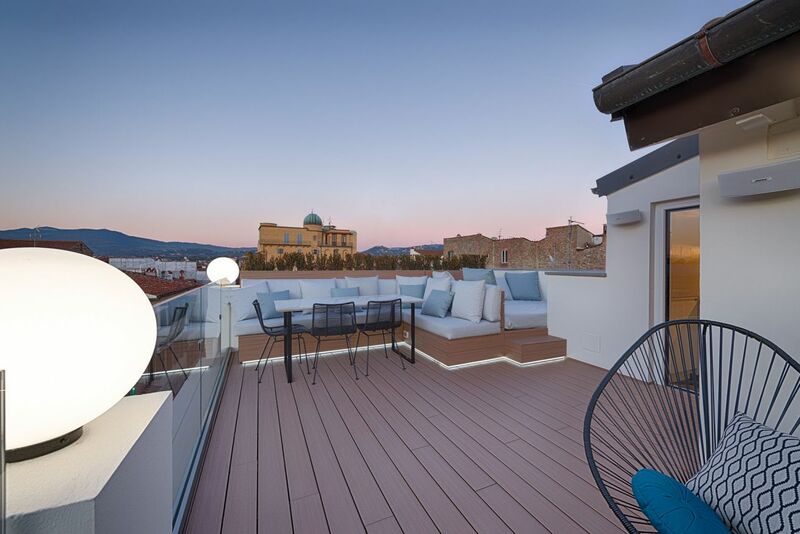 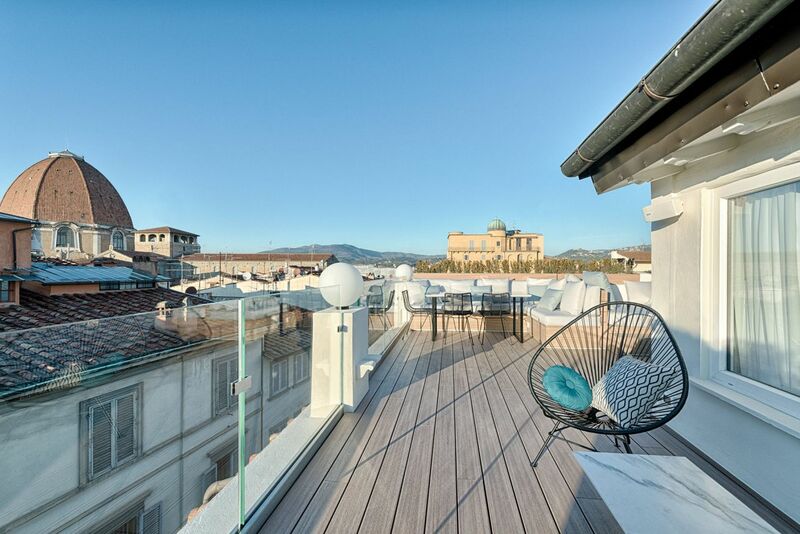 Duomo Luxury Terrace is located few steps to the Duomo of Florence, an ideal position to get to all the monuments of the city. 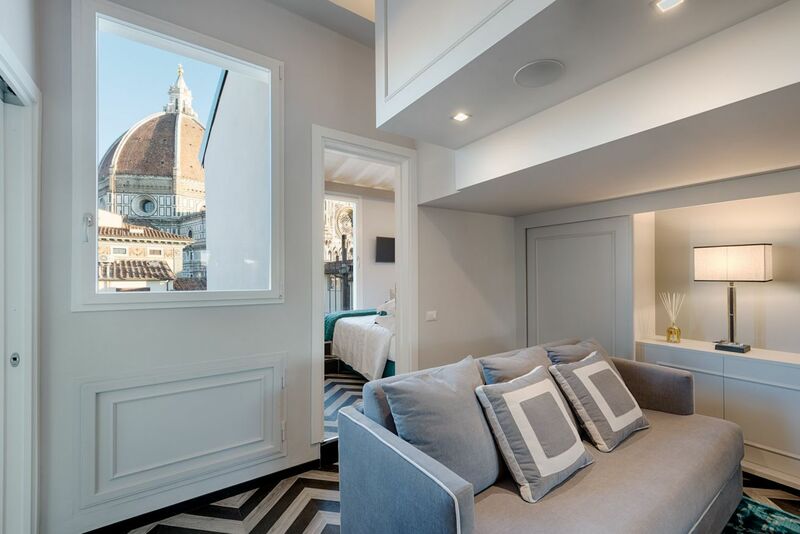 It takes only 5 minutes walking to get to the Cappelle Medicee, the Galleria dell'Accademia, Palazzo Vecchio, Ponte Vecchio and the Uffizi Gallery. 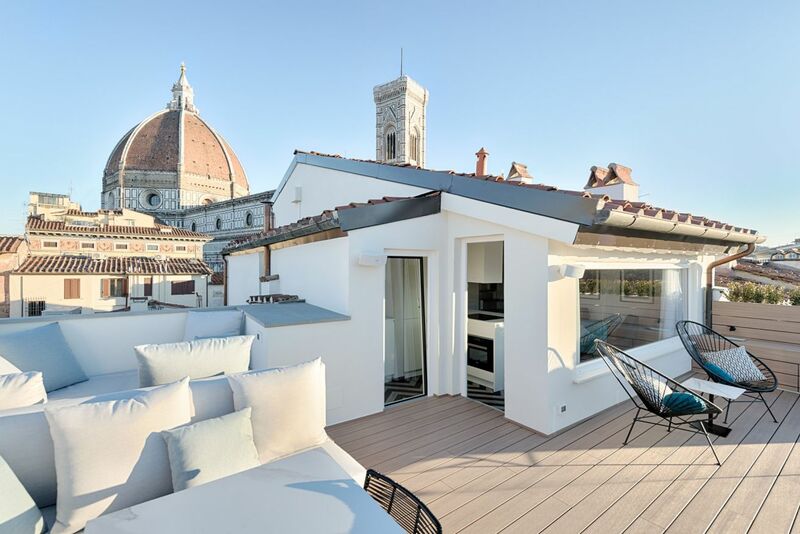 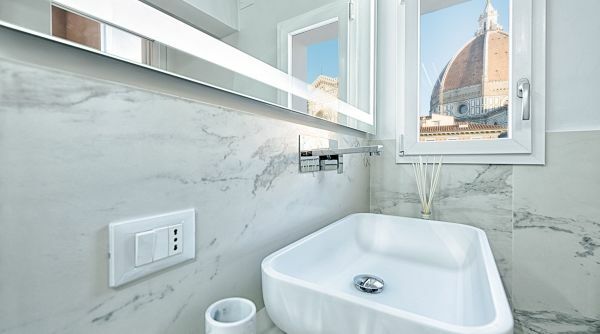 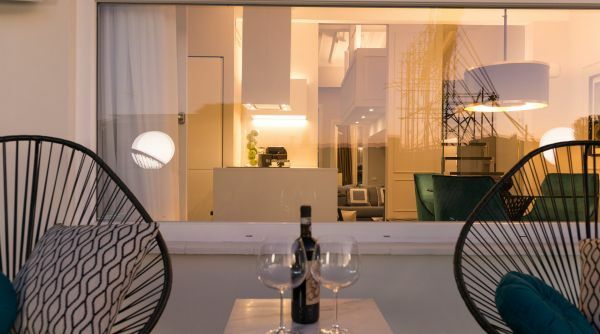 Duomo Luxury Terrace is only 700 metres far from the central train station of Florence, Santa Maria Novella, less than 10 minutes walking. 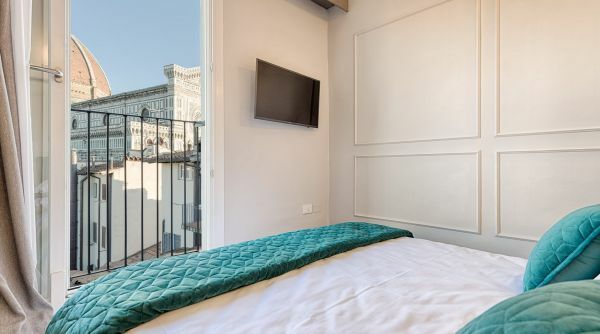 Alternatively, near the station you can get a cab to get to the apartment in few minutes.